This iPhone Is Currently Being Restored, How to Fix? When moving data from old iPhone to new iPhone or in situations when you simply want to restore data from iCloud, sometimes a restore problem may happen. Many Apple users have experienced days of frustration with the restoration and see the message: "This iPhone is currently being restored and will automatically back up when it is done". For days users are seeing the same message not knowing what to do. seeing the same message not knowing what to do. If you are frustrated by this problem with iCloud, don't be anymore. To save you from frustration, today we will offer two solutions that will help you bypass this and avoid your iPhone getting stuck in the iCloud restore. Besides, an additional tip that will also be of great help when restoring your iCloud data is offered. When you start the restore, note that you need to wait for a few hours. However, if you are getting stuck in restore for more than 24~72 hours, then it's time to stop it. You can do that directly on your iPhone and generally you will not lose data just stop the process. Here is how to do it. 1. Go to Settings > [Your Name] > iCloud Backup. 2. Simply tap “Stop Restoring iPhone” and then choose “Stop” from the next pop-up. 1. Just turn off the iPhone by holding the Home button and the Power button at the same time for at least 10 seconds. 2. After your iPhone is turned on, you can go to the page of restoring iPhone to see whether the restoring has been stopped. It is pretty annoying to handle such-and-such issues when restoring. 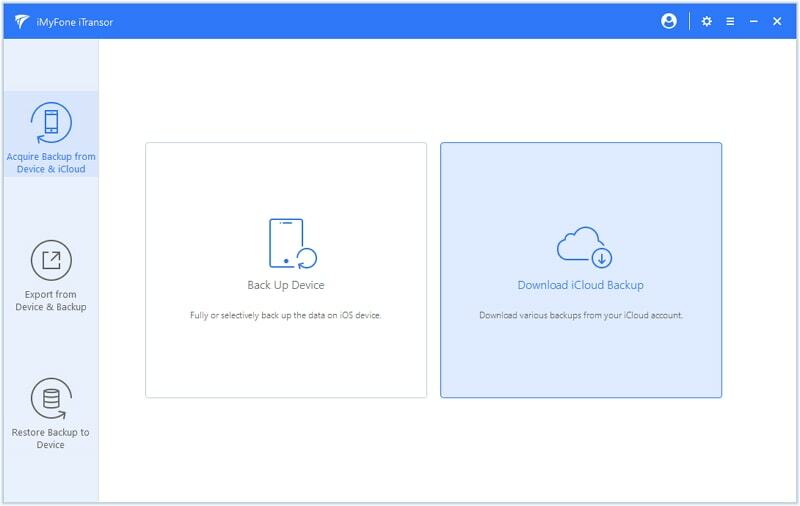 iMyFone iTransor, a professional iPhone data backup & restore tool can be really helpful and allows you to restore iCloud backup without any risk of getting stuck. 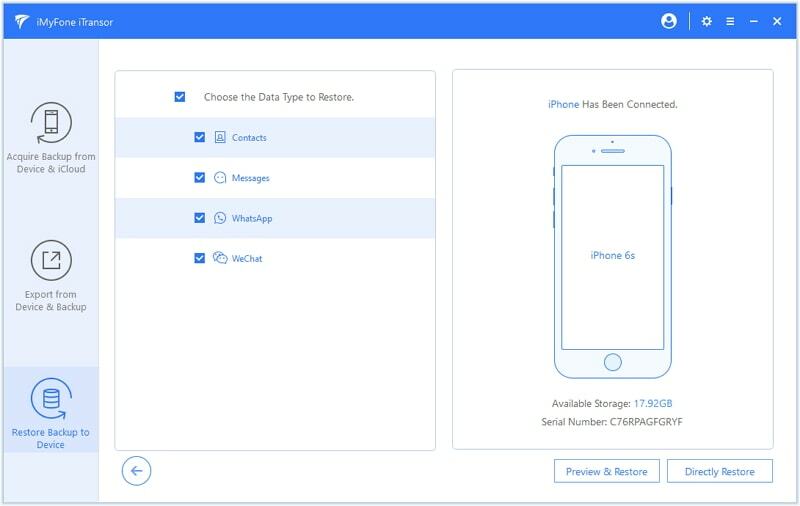 Restore certain apps such as WhatsApp, Contacts, Messages, WeChat from iCloud backups without erasing data on your device. It allows you selectively restore data in iTunes backups. For example, you can restore only WhatsApp data from iTunes backup. It can make separate backups for iPhone 8/iPhone X and restore them for future use. It supports all models of iPhone, iPad and iPod touch running iOS 12/11/10/9. Step 1: Download iCloud Backup from the Cloud. Choose "Acquire Backup from Device & iCloud" tab from the left panel, then click Download iCloud Backup. You need to log in your iCloud account first. Then this iPhone backup and restore tool will show you all the iCloud backups in this account. Choose the one you want to restore. Wait for the download process until it's finished. Step 2: Restore Certain Apps from iCloud Backup. From the "Restore Backup to Device" tab, choose the backup you just downloaded from the the backups list. Choose the data you want to restore from this iCloud backup. Then,choose how you want to restore the data: "Preview & Restore" or "Directly Restore". Connect your device to computer and click Restore to finish the final restoring. Tada! Your iCloud backup has been restored on your iPhone without any problems, fast and easily. On top of that, the software supports to merge data in the backup and your device when restoring, meaning your WhatsApp, WeChat contacts, Messages and other data will still be there. 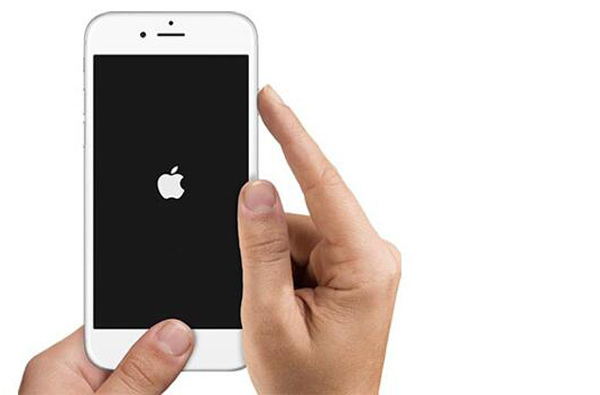 Many users may encounter the frustrating problem that their iPhone is stuck in restoring. As you may see using methods that are only related to Apple may not work completely. The good thing is that there is always iPhone related software that can be of great help. In this case it is iMyFone iTransor, who also happens to offer additional amazing backup & restore features. Download the trial version to enjoy its excellent free features! 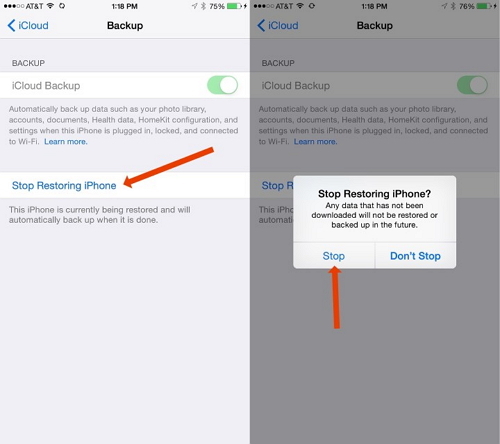 How to Restore Backup after Factory Reset iPhone?